Our native wildlife sanctuary is strategically nested at the foothills of the world heritage listed Blue Mountains National Park. 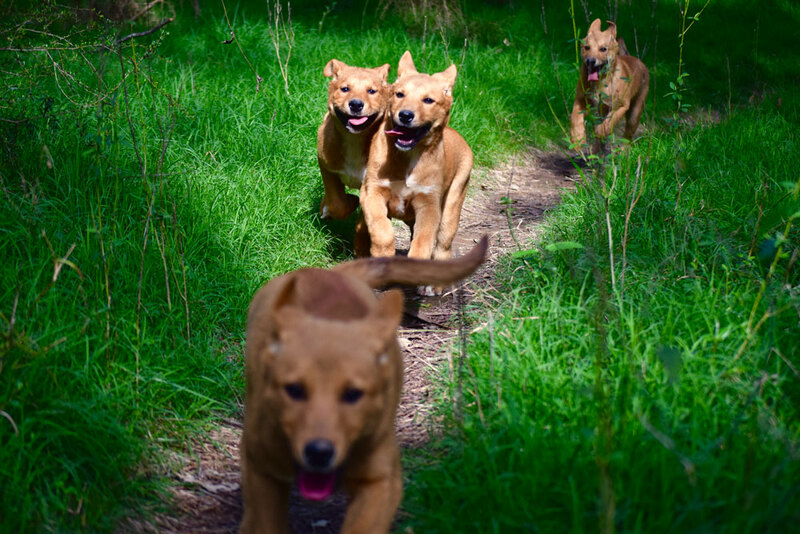 As Sydney’s very first dingo sanctuary, its aim is to provide a protected space where dingoes can thrive in a natural habitat similar to what they would experience in the wild. The sanctuary allows our dingoes to freely roam, and gives visitors the valuable opportunity to observe these fascinating creatures at their best. Part of the sanctuary’s aim is to advance the natural environment, advocating for the conservation of vulnerable flora and fauna. Our sanctuary carers and dedicated volunteers work to maintain the sanctuary and support native plants, which in turn assists with the biodiversity of the sanctuary and it’s surrounds. The Dingo Den Discovery Experience is all about education and enjoyment. 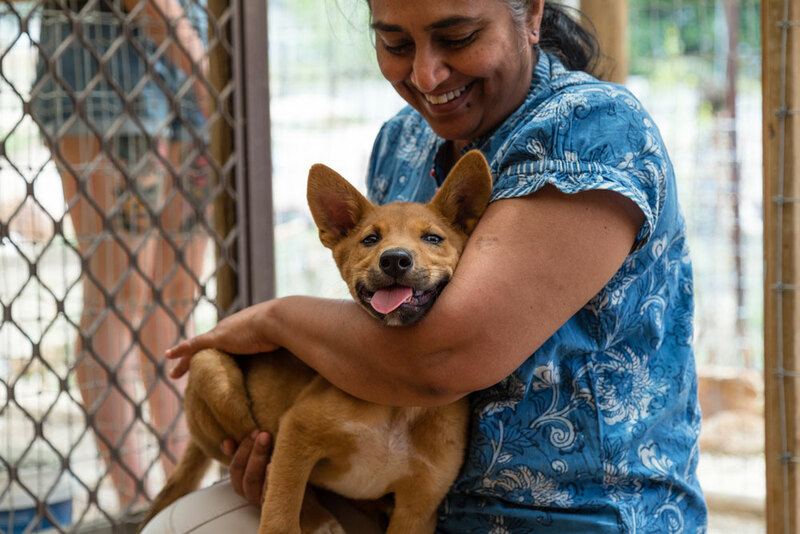 Our aim is to provide an unforgettable experience for participants whilst providing educational insight in to the amazing world of the dingo – with plenty of cuddles along the way of course! Comprehensive education was provided prior to us meeting the dingoes. ​Delve deeper in to the world of these beautiful animals as you start your experience with an educational talk about the history of the dingo, their origins and their amazing characteristics. After this, you will have a chance to meet and greet some of our resident dingoes in their sanctuary environment. You will take your time getting to know some of our friendliest residents, with one of our sanctuary carers on hand at all times to answer questions and guide you through the experience. Dingoes are curious, intelligent creatures – so expect to be inspected! Our dingoes may even give you a quick kiss in order to give you the final ‘lick of approval’ as one of their own. To finish off the experience, you will have the opportunity to take our dingoes on a nature walk – a fantastic opportunity to observe our dingoes as they show off their natural curiosity and alertness. There is street parking available at our site, with entry to site involving a semi-steep incline. Wheelchairs can access the site, however please note that the sanctuary does include some gravel paths which can be uneven. Please wear comfortable clothes for walking and enclosed shoes with grip. You will be getting close and personal with our dingoes, so we advise on wearing something that you don’t mind getting a little dusty. 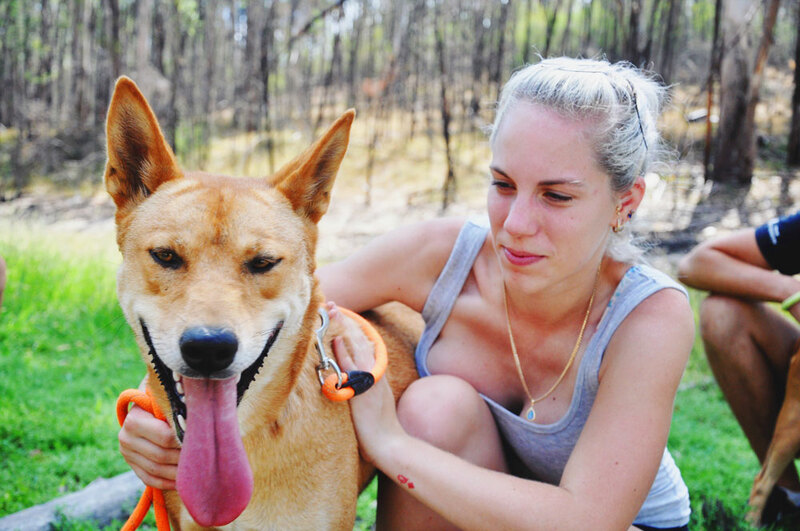 Weather permitting, we do offer the option for our Den Discovery participants to take our dingoes on a walk. This walk is conducted in local bushland surrounding the sanctuary and includes uneven terrain and some inclines. Walking is an optional part of the experience, and you can speak to one of our sanctuary carers if you do not feel confident with this part of the experience. The address of our sanctuary is kept private for the security of our dingoes, but will be provided to you after your booking has been confirmed. If you would like to support the vision of our sanctuary, you can help us through specialised skills or supplies. As an Australian charity, donations to our organisation are tax deductible.